Your mouth is made up of several parts. While many of them, such as the teeth, the gums, the tongue and your other oral tissues, can be seen with the naked eye, there are still many components of your mouth that are hidden from view. These components include the tooth roots, the jawbone, the joints and more. Whether checking the overall condition of your mouth or diagnosing an oral health issue, the entire mouth needs to be seen, even the parts that are hidden. 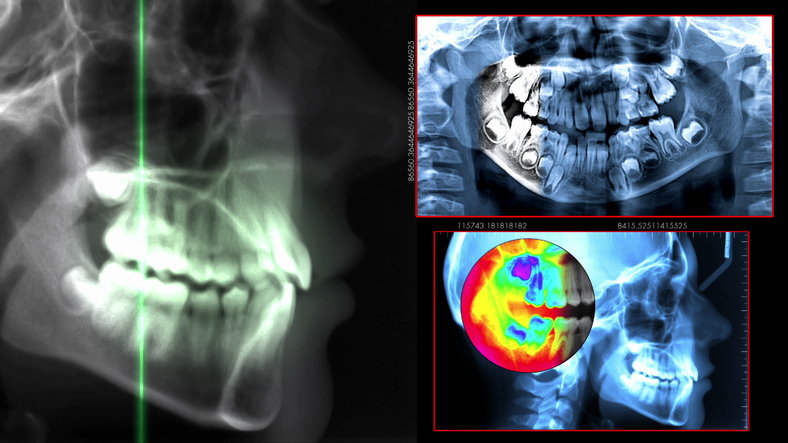 At Coulter Family Dentistry, we can see the hidden areas of your mouth with digital X-rays. To accurately diagnose an oral health issue, we need to have a complete picture of your mouth. This includes not just the parts of the mouth that we can see with the naked eye, but the hidden parts of your mouth as well. Many oral health issues can occur below the gum line, out of sight. With X-ray images, we can see damage to the roots of your teeth, changes in your jawbone, and so much more. With a full picture, we can determine a more accurate diagnosis and formulate a customized, effective treatment plan just for your needs. After treatment, X-rays allow us to monitor your progress and make sure that you are healing properly. Traditional X-ray technology often raises concerns with many patients. Much of this concern surrounds the way traditional X-rays take images. This technology relies on radiation. Because of this radiation, many patients will avoid treatment for fear of exposure. In avoiding treatment, oral health issues are left to worsen. Radiation is not the only problem with traditional X-rays. These images also need to be developed before they can be viewed. While the images are being developed in a separate room, you are left alone. Valuable appointment time is wasted. By the time your images have been developed and read, the rest of your appointment may be rushed. There is little time to discuss your diagnosis and your treatment options. This can leave you with unanswered questions at the end of your appointment. Digital X-rays are a technological improvement over traditional X-rays. Instead of radiation, capturing your images is done with electronics. With a digital X-ray, a sensor, which is hooked up to a computer, is placed inside your mouth. We only need to click a button on the computer to capture your images. As soon as they are captured, they show up on the computer monitor, ready for reading. Digital X-rays offer many benefits over traditional X-ray technology. • Capturing your images is fast and easy. • Shortly after the images are captured, they appear on the computer monitor. There is no need for us to leave the room to develop them. • Images can be manipulated in several ways, including zooming in on suspect areas and enhancing for better quality. This allows us to see greater details. • You see everything that we see. • Your whole appointment is spent with you. We can go over the images, explain what we find, and thoroughly discuss your treatment options. You will have the time to ask any questions you have, which can help you to feel better prepared, and more confident, about getting treatment. With digital X-rays, we can get the full picture of your oral condition, which enables us to diagnose more accurately and create an effective, customized treatment plan. For more information, call Coulter Family Dentistry today at (509) 209-8747.